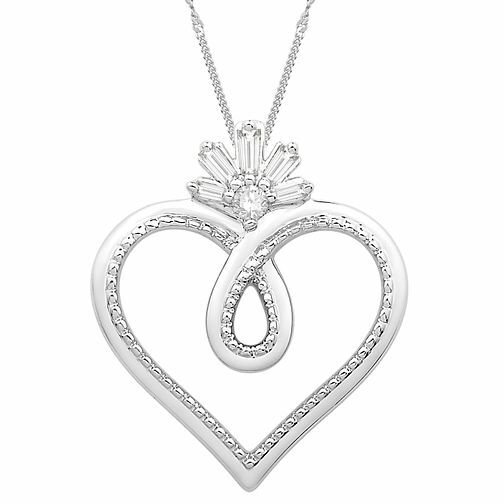 Show your love with this gorgeous diamond-set silver pendant from Emmy London. The cut-out heart design is lined with a beaded trim and has a crown of round and baguette cut diamonds. This stunning pendant is crafted from sterling silver for exquisite shine and sparkle. Featuring I1 certified diamonds and an independent GSI certificate.